PanchaKarma is a deeply relaxing way to cleanse the body of accumulated toxins, release the negative effects of stress and provides rejuvenation to body, mind, and spirit. 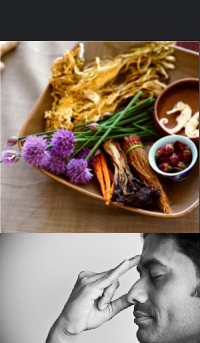 Your PanchaKarma cleanse is tailored specifically for you depending on your time and need for specific treatments. All herbal formulas, bastis, teas and foods are also specifically designed in this treatment. The PanchaKarma cleanse takes from 9 to 15 days depending on how much time you can take off from your regular activities. The preparation for the cleanse starts 3 days before treatments with a specialized diet plan specifically geared to your individual needs. Treatments then begin for a period of 3 to 5 days during which you are likely to spend 2 – 3 hours at the Sanctuary for 4 body therapies each day. After each therapy, you are sent home to spend the rest of the day doing relaxing, non-stressful activities and resting as much as possible. Once the clease is over, the following 3 days are spent in slowly reintegrating regular foods in your diet with herbs to increase your digestive fire. Please call to discuss whether a PanchKarma would be a suitable option for you and to address any questions on costs and treatments.